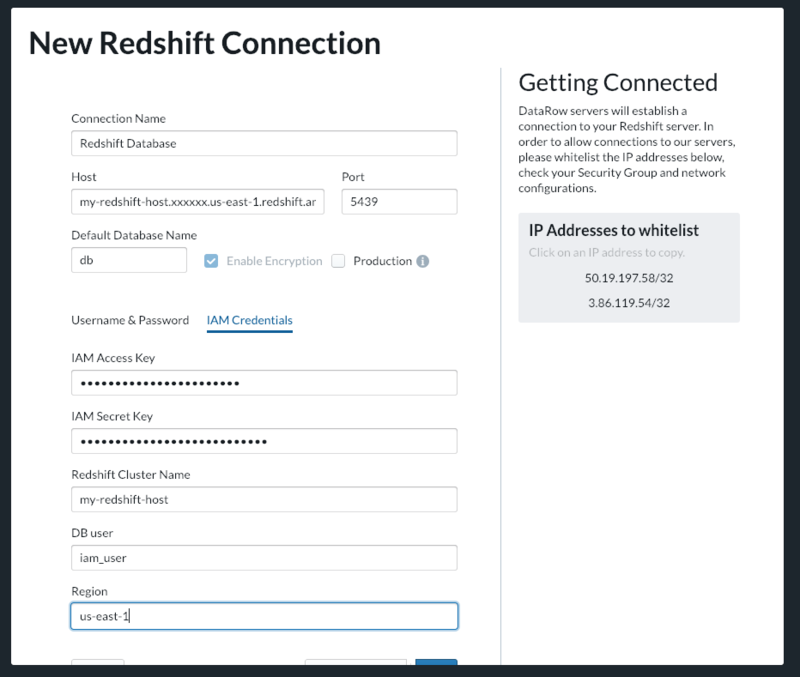 Commonly, Amazon Redshift database users log on to the database by providing a database user name and password. 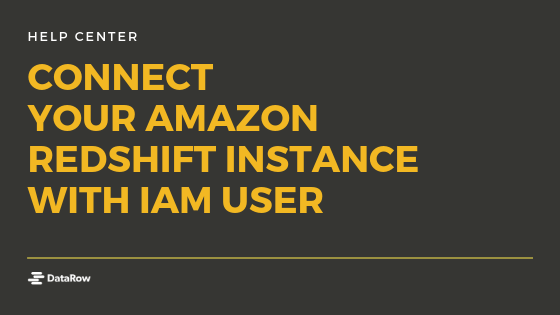 You can log on to your Amazon Redshift database by providing IAM credentials too and DataRow supports IAM authentication. 1 – Click on “Create New Connection” button on “Connections” screen. 7- The name of an existing or new database user.